Six more bike racks were installed in Downtown yesterday. It was perfect timing as the sunny skies beckoned fair-weather bike commuters (like myself) to take the two-wheel option to work. The racks have actually been in Northfield since last year but scheduling challenges delayed their installation. 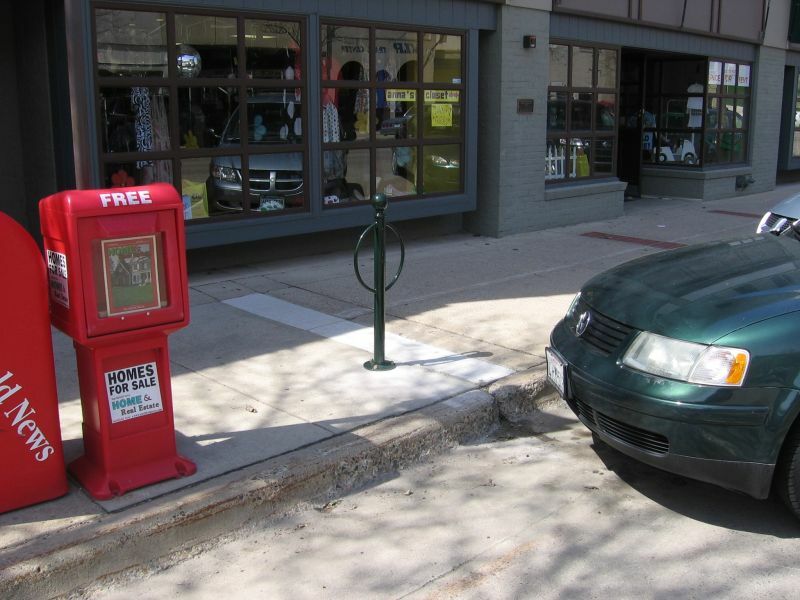 Additional bike racks are to arrive this year, which is a really good thing as at least a half dozen building and business owners were requesting them yesterday afternoon. With two colleges, many green-thinking citizens, and the rising price of gas, more bike racks are definitely appreciated. I’ve worked hard to tame my obsession with bike racks. 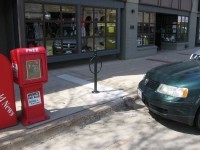 I just think that they’re necessary for much of our citizenry, greatly contribute to “managing” the bike parking in downtown, and, with the particular type that Northfield selected, aesthetically pleasing. Many thanks to the City of Northfield’s Public Services Director, Joel Walinski, and his excellent crew. It’s just one of the many things they do to help make downtown a great place to work, live and play.